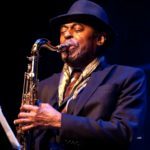 Archie Shepp is an American jazz saxophonist.He played in a Latin jazz band for a short time before joining the band of avant-garde pianist Cecil Taylor. Shepp’s first recording under his own name, Archie Shepp – Bill Dixon Quartet, was released on Savoy Records in 1962 and featured a composition by Ornette Coleman. "In rap music, even though the element of poetry is very strong, so is the element of the drum, the implication of the dance. Without the beat, its commercial value would certainly be more tenuous."